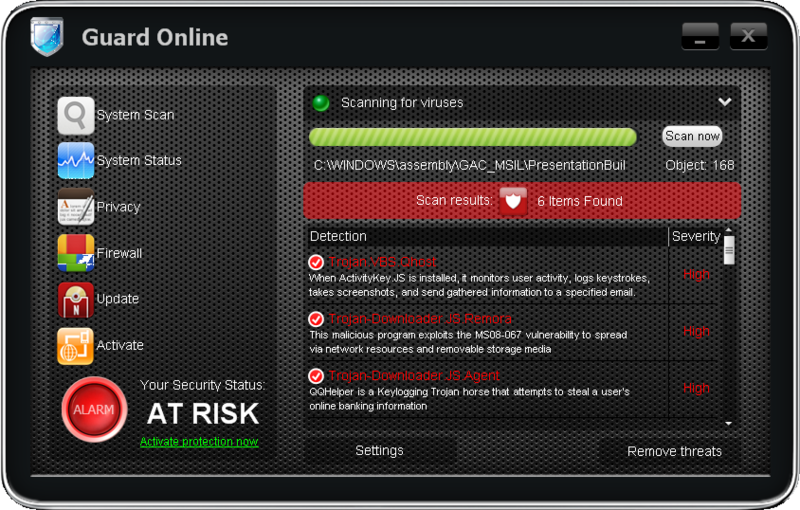 Guard Online is a fake Antivirus. It is a clone of AV Guard Online, Security Guard 2012, OpenCloud Security, OpenCloud Antivirus, BlueFlare Antivirus, Milestone Antivirus, Wireshark Antivirus, Sysinternals Antivirus, XJR Antivirus, AKM Antivirus 2010 Pro, Your PC Protector. 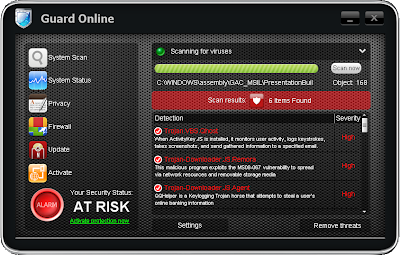 Guard Online prevents legit softwares execution, displays fake alerts and blocks random Web pages. If your PC is infected with Guard Online, follow Bleeping Computer's removal guide.